TULSA, OKLAHOMA – Associated Builders & Contractors (ABC) of Oklahoma has honored Manhattan Construction Group companies with eight 2018 Excellence in Construction Awards and national safety honors. The accolades were presented to Manhattan Construction Company and Cantera Concrete Company at the ABC Oklahoma Excellence in Construction Awards Banquet on Thursday, October 25, 2018, in the Cox Business Center Grand Ballroom in Tulsa, Oklahoma. Manhattan Construction Company received the ABC STEP Diamond Safety Award – the highest honor in the ABC Safety Training and Evaluation Process (STEP) Awards program. According to the ABC 2018 Safety Performance Report, STEP Diamond Achievers are 670% safer than the industry average. This is the eighth consecutive year that Manhattan Construction Co. has earned this honor. 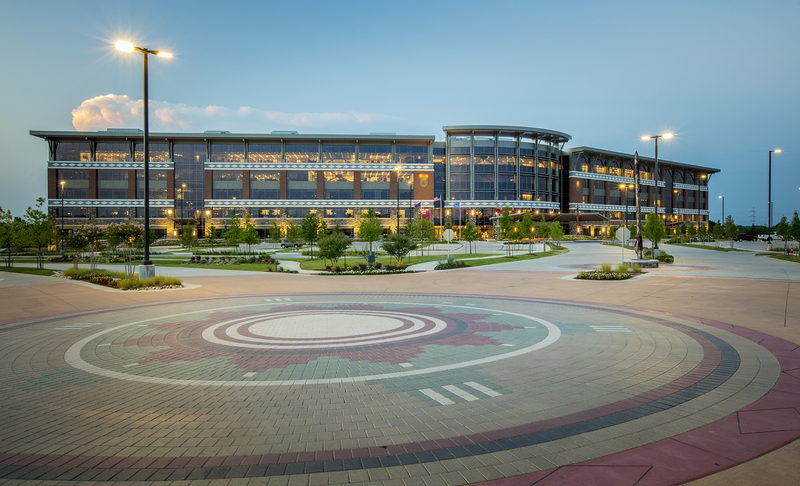 Manhattan Construction Company served as construction manager for the campus, which is home to five buildings including a 500,000-square-foot Tribal Headquarters Building, 9,700-square-foot Data Center, 11,000-square-foot Public Safety Building, 45,000-square-foot Wellness Center, and a 48,000-square-foot Facility Maintenance Building. Frankfurt Short Bruza designed the data center, headquarters building, and site infrastructure. 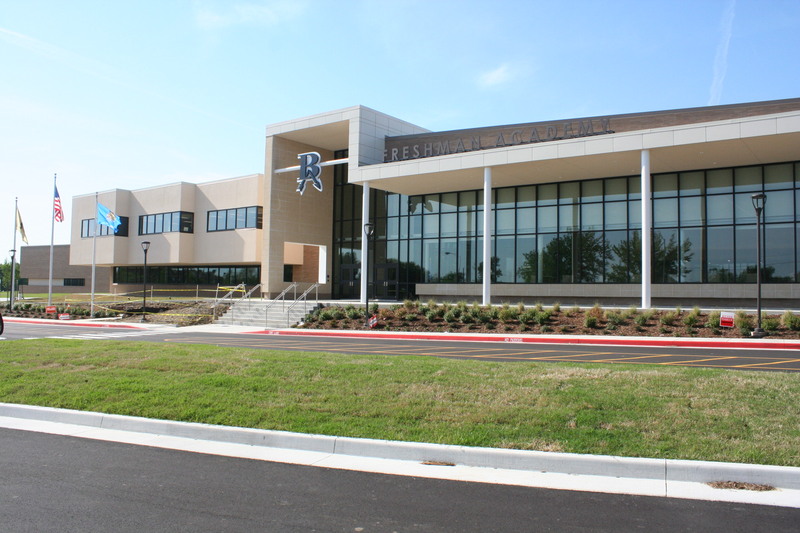 JCJ Architecture designed the wellness center, public safety building, and warehouse/storage building. KFOR-TV Tribute Media in Oklahoma City, Oklahoma in the “Commercial $10 – $25 million” category. 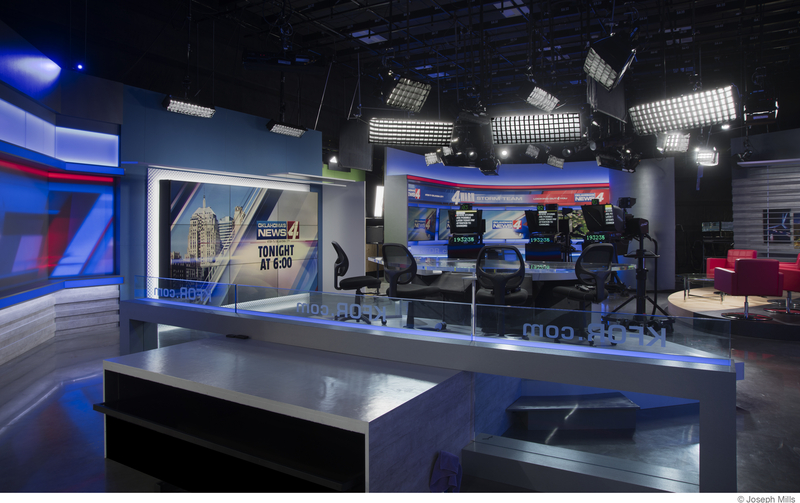 Built by Manhattan Construction Company and designed by REES Associates, Inc., this project included a new 42,880-square-foot multimedia broadcast and communications facility, including a redesigned 4 Warn Storm Center. The glass skin of the building has hurricane rated exterior curtainwall throughout. The thick walls of concrete and steel reinforcing are designed to be tornado-resistant during Oklahoma’s toughest weather. Image Credit: Manhattan Construction Co. Built by Manhattan Construction Company and designed by JHBR Architecture, the HealthPlex is a 152-bed, state-of-the-art specialty hospital with cardiology and cardiovascular services, orthopedic and spine services, and women’s and children’s services. The new Cath Lab project has epoxy flooring throughout the space that provides a hard surface that is easily cleaned and maintained. The LED lighting system includes adjustable light levels for comfort and function. 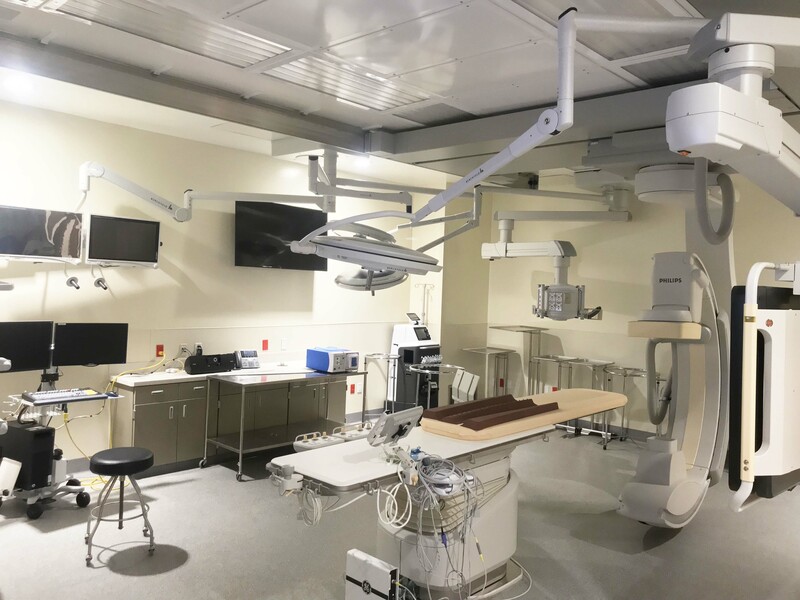 The Cath Lab includes lead-lined windows and lead-lined drywall throughout the space for staff viewing during specific equipment use and procedures. 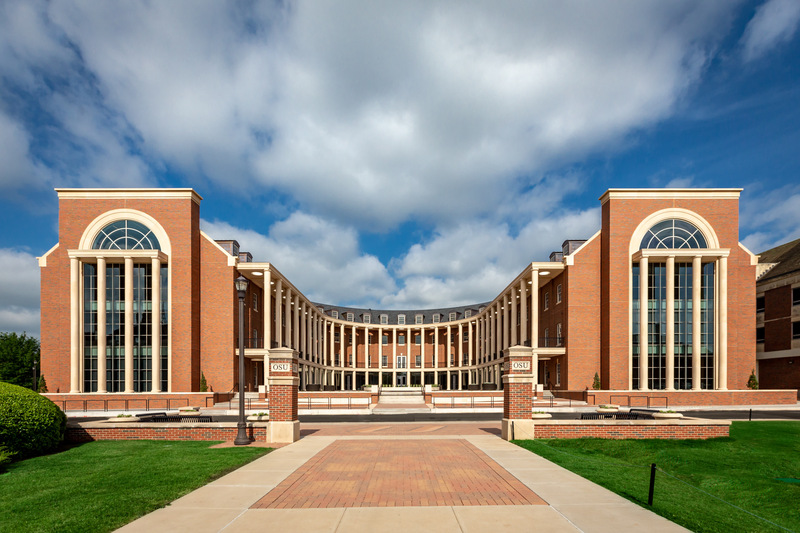 Built by Manhattan Construction Company and designed by Elliott and Associates, OSU’s new 140,000-square-foot business building includes 13 classrooms, 16 team/breakout rooms, nine conference rooms, four labs, seven academic department offices, 150 offices, and 55 digital displays. 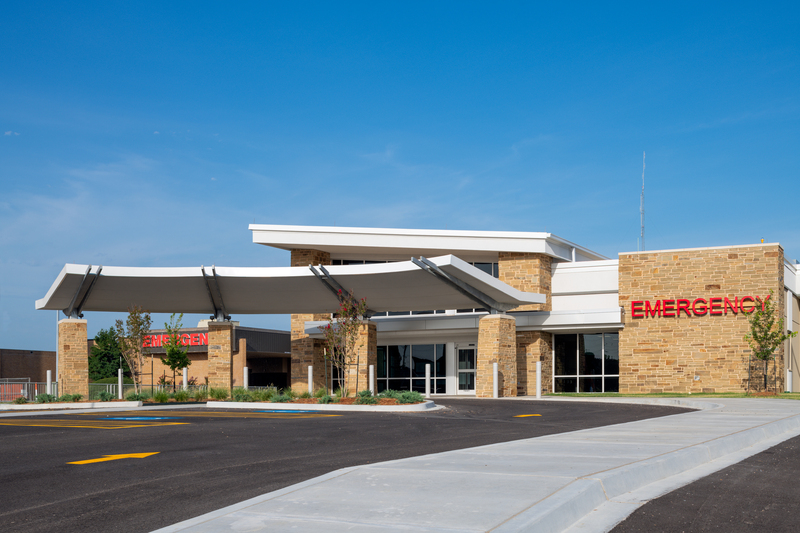 Built by Manhattan Construction Company and designed by Health Facilities Group, the new two-story addition provides four dedicated trauma rooms and 14 treatment rooms, including two heart specialists, cardiac interventionists and 24-hour laboratory services for heart tests. 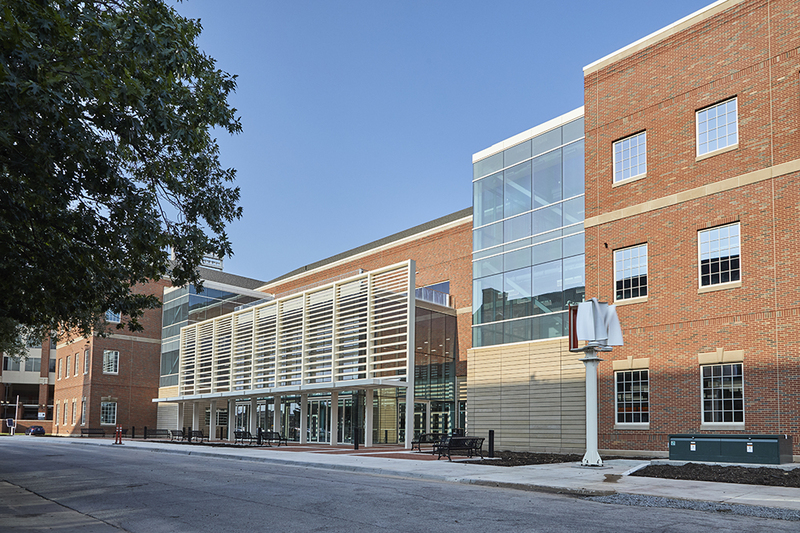 Built by Manhattan Construction Company and designed by Selser Schaefer Architects, the expansion of the Freshman Academy creates an additional 24,000 square feet of space within two stories with four science labs on the second floor. Oklahoma State University College of Engineering, Architecture, & Technology (CEAT) Undergraduate Lab Building in Stillwater, Oklahoma in the “Other Specialty Construction – Concrete category. The new CEAT Lab Building, designed by Frankfurt Short Bruza, is a three-story steel frame structure with a penthouse. Cantera Concrete Company was honored for the concrete work. The 26,000-square-foot building footprint included approximately 2,800 cubic yards of concrete for piers, foundations, slab on grade, and slabs on metal deck. Cantera installed stainless steel inlays in the floors, which were set precisely and to exact grade. Designed and engineered by OSU, Cantera advised in the manufacturing of the inlays. OSU Remember the Four Memorial in Stillwater, Oklahoma in the “Specialty Construction” category. 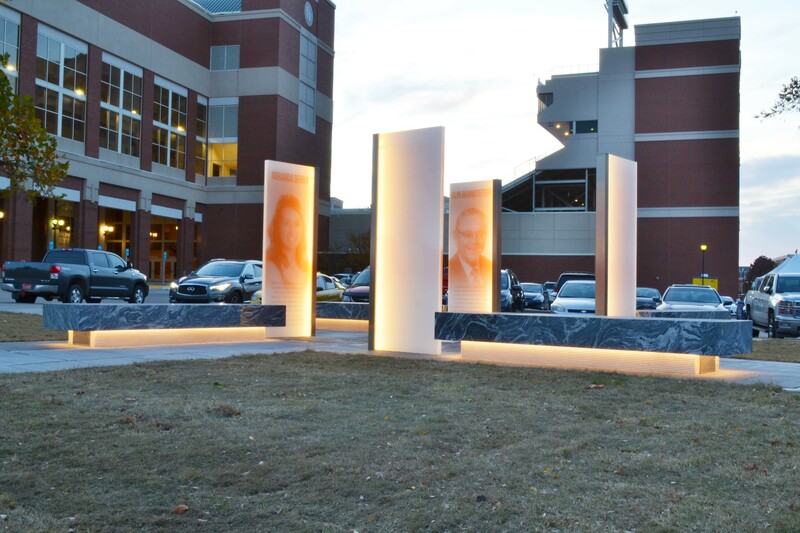 Designed by Beck Design, this project was a memorial to commemorate the loss of four members of the Oklahoma State University’s athletics family, who perished in a plane crash while on a recruiting visit in 2011. Cantera Concrete Company was honored for its quality concrete work for this project.